These summer staples will take you from the city to the sea, and beyond! Summer is officially here and if there's anything we love about this season, it's the amount of tropical prints and fun colors we get to wear under the sun. From the city to the sea, the Lacoste footwear collection combines nautical style and function, adapted for a contemporary lifestyle, perfect for the summer season. Elegant palettes and sporting details combine to create easy-to-wear styles for any occasion. Updated for the summer season, the Ziane Deck features nautical detailing on the uppers inspired by a classic boat shoe. Signature design lines taken from the brand’s DNA combine with a sophisticated palette and lightweight canvas offering an elegance that is pure Lacoste. This easy-to-wear style seamlessly blends sport and style to offer the ultimate in modern footwear on deck or in the city. 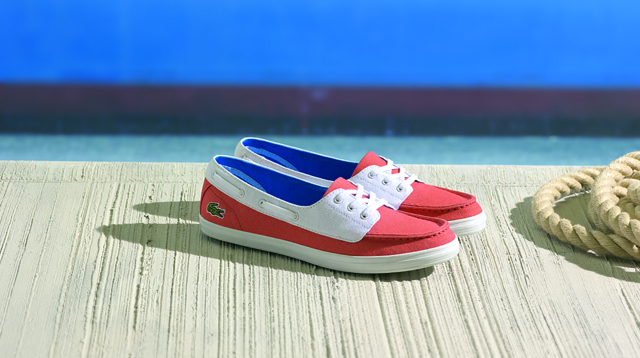 Blending sport and style, Lacoste’s footwear collection offers summer staples with a nautical twist perfect for any occasion. Inspired by the timeless elegance of sporting holidays on the Riviera, this easy-to-wear collection brings contemporary styling to any holiday look. A classic silhouette, the Ziane plimsoll nods to the brand’s sporting roots with a clean white unit that has been updated with a chunky profile for a fresh new look. Offset by lightweight canvas, the fun all-over print takes inspiration from the tropical beaches bringing a carnival-esque mood to any holiday outfit. Can't wait to get your hands on these pairs? 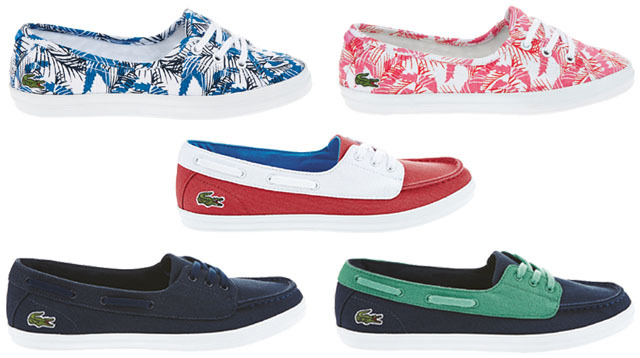 Visit www.pentstarsports.com[previous|page|next] to see the latest Spring Summer collections from Lacoste.